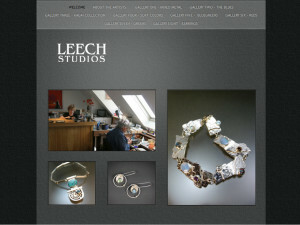 At Leech Studios, Phil and Ann create jewelry designs with silver, gold, and select stones. Ann is a native of Indiana with a degree from the University of Cincinnati, School of Design, Art & Architecture. 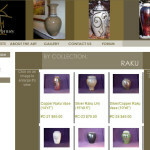 Ann is also an interior designer, painter and printmaker. 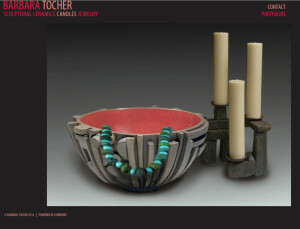 Barbara Tocher creates jewelry with ceramic beads, ceramics, sculptures and candles. 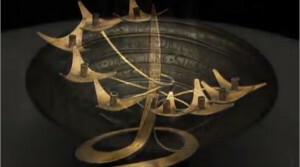 Her jewelry often contains elements from Africa and the Middle East. 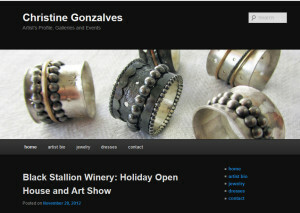 Christine Gonzalves has been a Sonoma Valley resident, jewelry artist and mixed media artist since the early 1970’s. She is currently the President of the Arts Guild of Sonoma. Christine’s roots are in photography and ceramics. 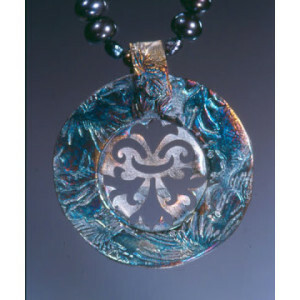 She works with encaustics, etched metals, cast silver, textiles and precious stones. Her art can be found year round at the Sonoma Art Guild off the Sonoma Plaza. Donna Ahlstrand has been creating art gourds for over ten years. 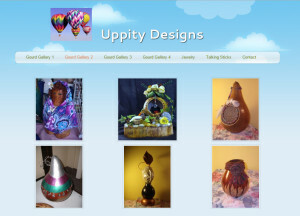 She also creates bright and fun clay jewelry, Dreamcatchers, and other crafts for the home. 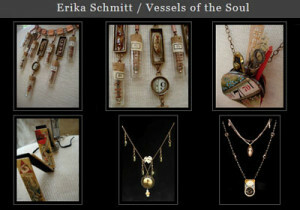 The artist Erika Schmitt describes her works, “Vessels of The Soul” as “the depth of movement through the stillness of form.” Erika was born and raised in Delaware and attended art school at Kutztown University, Pennsylvania. Isabelle Posillico designs and creates individual art pieces with the ability to stand on their own, a balance of beauty and function. Using recycled golds with a precise composition of gemstones, she forms, constructs, and solders each piece into wearable art. 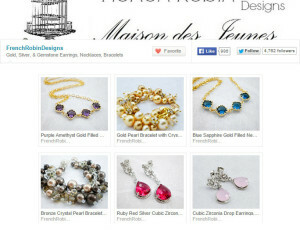 Kristel Phears is an artist of fine jewelry and also a photographer, who has a store on Etsy and accepts custom orders for everyday or bridal occasions. Her favorite materials are gold, sterling, fine silver, gemstones, natural stones, copper, and crystal. She also creates fine art photography of the natural world. Maggie Henry is an acrylic and watercolor painter, and a collage and mixed media artist. 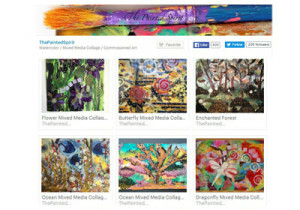 Her Etsy store, The Painted Spirit, offers her mixed media art and watercolors. Melinda Talbot creates original jewelry designs with semiprecious stones, sterling silver and workable metals. 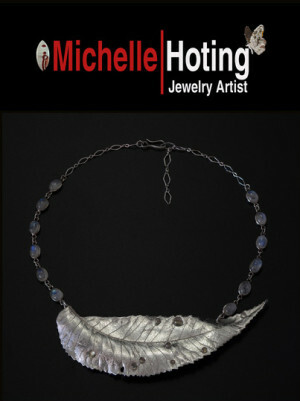 Michelle Hoting creates jewelry and small metal arts with organic designs in recycled silver and stone. 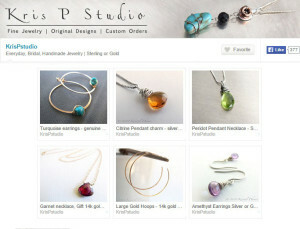 At Leech Studios, Phil and Ann create jewelry designs with silver, gold, and select stones. Both are natives of Indiana with degrees from the University of Cincinnati, School of Design, Art & Architecture. 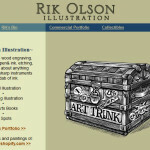 Phil also creates wood and metal sculptures, pottery and architecture. 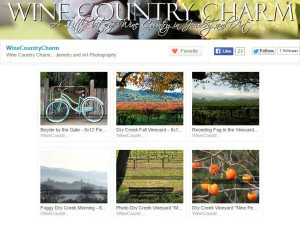 Sharon Pillsbury is the artist-creator of Wine Country Charm, a little bit of wine country in jewelry and art. She provides Sonoma wine country photos in prints and canvas wraps. 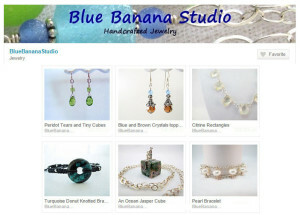 She also creates wine charm jewelry. 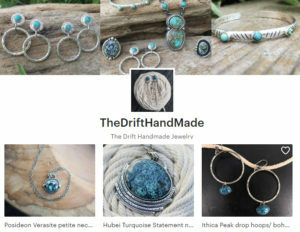 Stacy King is a jewelry artist and owner of TheDriftHandMade at Etsy. She makes Bohemian and Southwestern style jewelry with stamped Sterling Silver, brass, Turquoise, Poseidon Variscite, and other semi-precious stones. 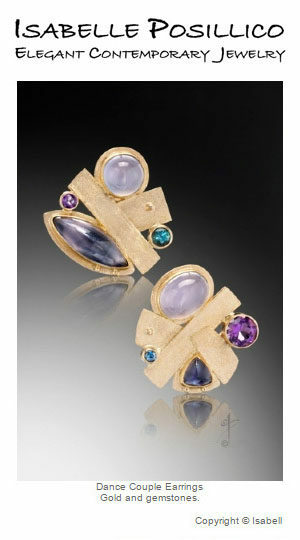 Jewelry designer Tammi Young creates gold, silver and gemstone earrings, necklaces, and bracelets. Victor Ries (1907-2013), the metal artist and jewelry designer, emigrated from Berlin, Germany to Northern California during World War II. He was one of the metal artists and teachers of the Pond Farm Artist Colony in Sonoma County. He is recognized in the Jewish-American Hall of Fame. He taught at the College of Marin, the California College of Arts and Crafts in Oakland and Saint Marys College in Moraga.